Enterprise resource planning represents a methodology of best practices for standardizing business processes across an organization. This logic assumes that standardization will result in increased organizational efficiency and a significant return on investment. 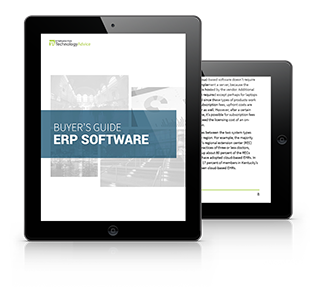 This guide examines the software platforms that businesses use to help standardize their processes. ERP software has been around for some time, but it experienced a spike in popularity during the 1990s, due to the proliferation of personal computers in businesses.